“Pennsylvania is the bull’s eye for Lyme disease,” said Harold Cohick, president of the Chambersburg Lyme Alliance. If that isn’t scary enough, scientists believe that this year could be one of the worst. They are predicting a surge in the number of Lyme-carrying ticks beginning in April and lasting into early summer. April is Prevention of Lyme Disease Month, and climate scientists are predicting a warm spring, which means that the northeast is likely going to experience a greater than average Lyme disease problem this year. 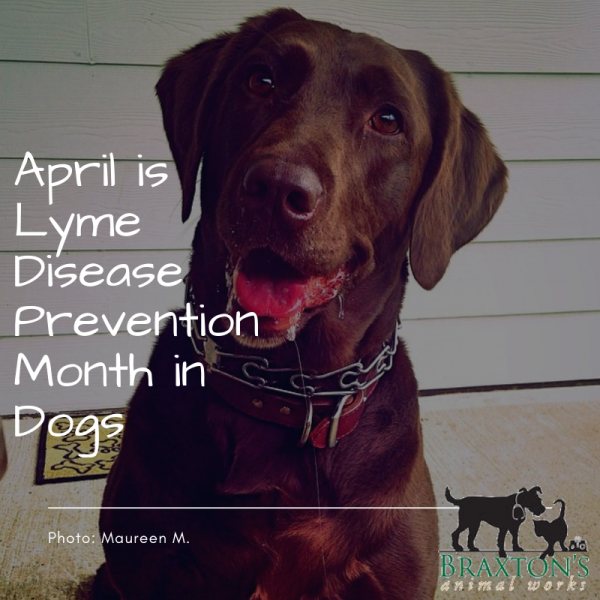 Lyme disease is considered to be a serious ailment in dogs, so it’s important to do what you can to protect your pet from becoming infected, especially if you enjoy taking your dog for walks or hikes in wooded areas now that the weather is so nice. What can you do to stay safe? Follow these Lyme Disease prevention tips compiled by VCR. Lyme disease is the result of being infected with the Borrelia burgdorferi bacteria. Typically, Lyme disease starts with a tick bite. Ticks typically must be attached to your dog for a period of 24 hours before transmission can occur. One way to prevent Lyme disease is to check your dog for ticks after walks in wooded areas. 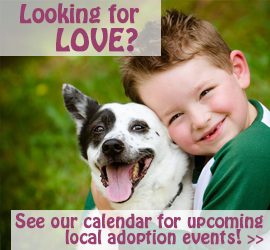 Comb through your dog’s fur, even around their ears and tail, to give them the most thorough examination possible. Never remove a tick with your fingers. Always use gloves and tweezers when removing them. Lyme disease cannot be transmitted from one pet to another, or from a pet to a person. One good way to prevent your dog from getting into tall grass or densely wooded areas where ticks live is to always keep your dog on a leash, even if he or she is extremely obedient and comes when called. Lyme disease is serious and not uncommon. Most dogs bitten by a tick that remains latched to the bite area for over 24 hours will not contract Lyme disease. The most common tick that carries the bacteria that causes Lyme disease is the deer tick, also known as the black-legged tick. If your dog is exposed to Lyme disease, it may be weeks or even more than a month before signs and symptoms begin to show. Symptoms of Lyme disease include high fever, lethargy, swelling of the joints, and loss of appetite. You may also see limping in your dog, or lameness such as stiff-legged walking or an arched back. Swollen lymph nodes are also a sign of Lyme disease, as is sensitivity to touch. In some cases, infected dogs may experience difficulty breathing. If you’ve seen a tick on your dog, or have removed one and are worried that it might be a deer tick that carries Lyme disease, contact your veterinarian. Since up to 95 percent of dogs exposed to Lyme disease never get sick from it, the real risk is to you, the dog owner. Our pets are a vehicle for ticks to enter our houses. For your family’s health, it is important to be vigilant about tick prevention.